We go back to the island for this week's installment of the Ibiza Spotlight Podcast by welcoming one of the island's best known and best loved resident DJs, Jamie Gittins of Filthy Gorgeous. 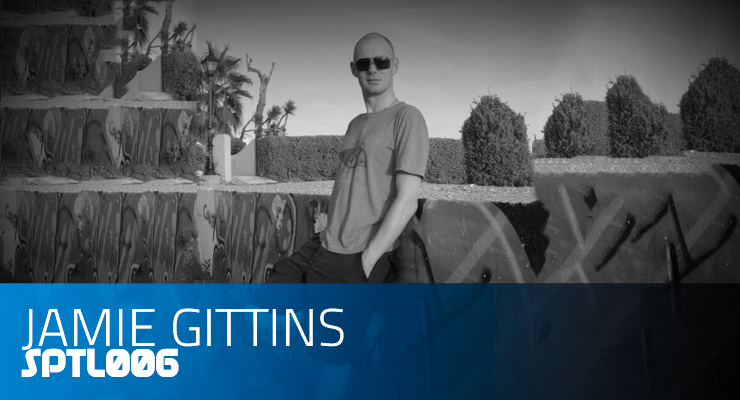 Nominated ‘Best up and coming DJ' in the M8 Ibiza Dance Awards 2006, Jamie Gittins is a DJ & Promoter whose skills and popularity have become synonymous with Ibiza and have made him a very well respected name in the UK & right across the globe. The past 3 summers in Ibiza Jamie has played sets at Carl Cox & Friends, Cream, Manumission, Meganite, Tiesto/The Electrik Playground, The Face of Ibiza and Pete Tongs Wonderland party at clubs including Amnesia, Space, Privilege, Eden & Es Paradis, as well as being resident and promoting his own Filthy Gorgeous & Disco Bomb branded parties on the island. It was back in summer 2005 that Jamie along with friend and fellow DJ Scott Martin started a small party at Hush in San Antonio, Ibiza, called Filthy Gorgeous. In the space of just over 4 years Filthy Gorgeous has exploded into an over-whelmingly successful international party and club brand, receiving astounding feedback and press wherever they go, including: DJ Mag, The Music Industry Manual, 3D World (Sydney), M8 Magazine, One Week To Live, Time Out (UK & Dubai), Partysan Magazine (Ibiza), Ibiza-Spotlight.com, Ibiza Voice.com, Inthemix.com.au & Tilllate.com. This past winter Filthy Gorgeous has been making quite a stir on London's underground house/techno scene, hosting parties at the incredible Lightbox venue in Vauxhall. Guests included Kevin Saunderson, Kiki, Mr C, Anthony Collins, Patrick Zigon, Chymera, MarcAshken, Anthea, Dean Muhsin & more. But it's really Ibiza that is Filthy Gorgeous' home. Having hosted parties in various locations across the island, including Privilege (where they hosted the Coco Loco for the whole of summer 2006 alongside Mauro Picotto's Meganite), Space (where they were monthly residents for Carl Cox & Friends this summer), Eden, Es Paradis, ex-Strip Clubs, an Old Zoo, Private Villa's and other unusual locations. After the success of Fg Jamie started his second party brand with old friend & Cream Ibiza resident Sean Hughes called Disco Bomb in 2007, undoubtedly the biggest hit with the workers of Ibiza for the past 3 summers, winning best workers party at the 2008 Worker Awards. Disco Bomb have hosted parties on the terrace of Cream @ Amnesia and The Electrik Playground room of Tiesto's party @ Privilege, Ibiza Rocks Hotel, Eden, Savannahs Back Room as well as various others bars in San Antonio. At DiscoBomb the pair can show their more eclectic side with a mash up style music policy of House, Rock, Indie, Drum & Bass & Hip Hop to make for a very special electric atmosphere. Jamie is extremely versatile within his DJ sets and has a diverse taste in music. The summers see him playing all styles from chillout at sunset @ Savannahs/Sugarsea cafes, to Funk & Disco next to the pool at the infamous Es Vive Hotel, to Crunchy house beats mixed up with Indie/Hip Hop/Breaks/ Rock/D&B at his infamous Disco Bomb workers parties, to underground house and techno at his peak time club sets.